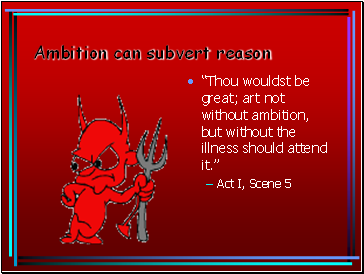 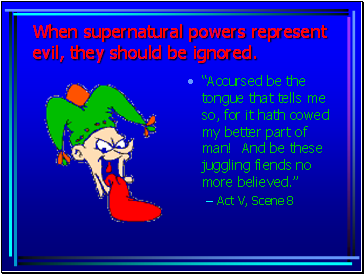 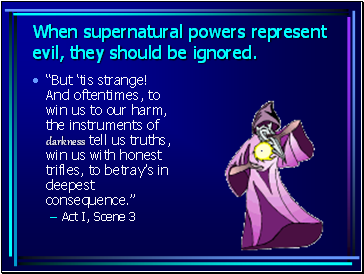 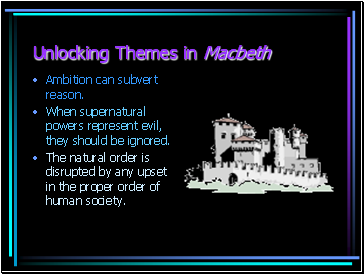 When supernatural powers represent evil, they should be ignored. 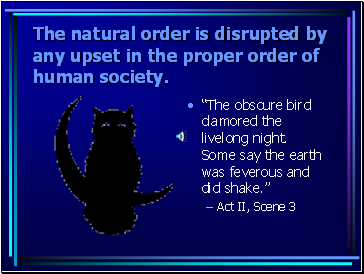 The natural order is disrupted by any upset in the proper order of human society. 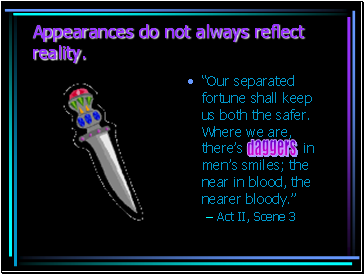 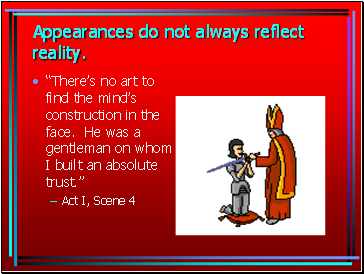 Appearances do not always reflect reality. 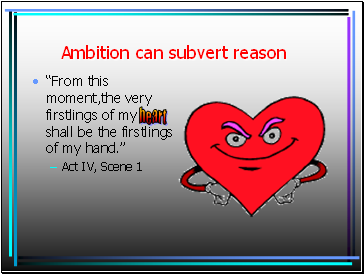 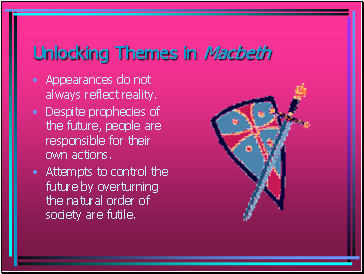 Despite prophecies of the future, people are responsible for their own actions. 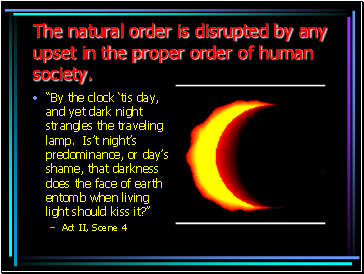 Attempts to control the future by overturning the natural order of society are futile.